In the article, the author proposes to study the link between Prophetism and religious dissidence using as examples the “prophets of Zwickau”, the prophetesses of the Swiss Brethren and the leading theoreticians of religious tolerance. The cases illustrated clearly show that in the Protestant world of the 16th century, Prophetism constituted an area in which Nonconformists gave expression to and demanded religious freedom. For them, engaging in and defending prophecy was an important way to legitimise ecclesiological and eschatological visions different from those of the institutional Churches and, more generally, to endorse the right to an independent religious quest against renascent dogmatism and authoritarianism. The prophecies were thus made in highly polemical opposition to the Churches. 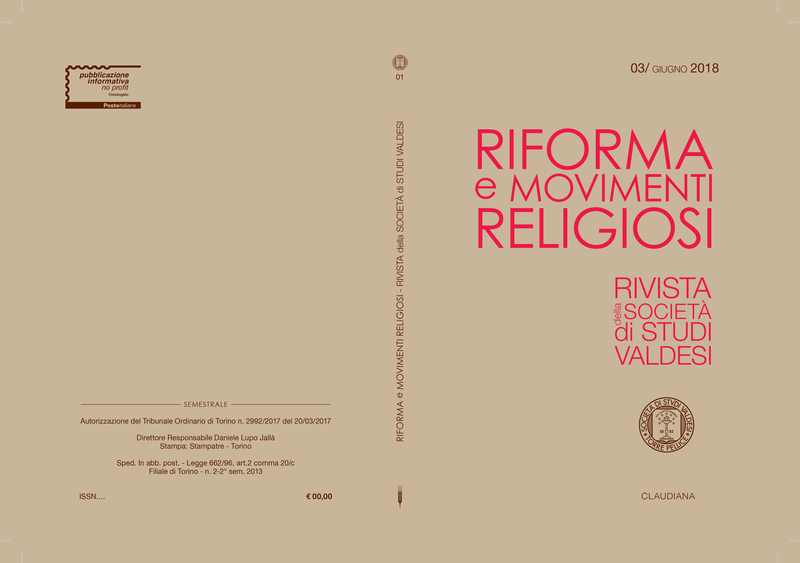 Setting the achievement of the true ecclesia Dei in the future implied depreciation of the existing Churches; the claim that the prophetic word was paramount was translated into a rejection of all expressions of the Churches’ monopolistic power. It was by virtue of these characteristics that prophecy was considered a manifestation of religious dissent and viewed as a threat to the power of the Churches; hence to be subjected to their control or stifled by repression. This is how libertas prophetandi came to be one of the fronts on which the fight for religious freedom was played out. It saw the opposition between the radical and ministerial reformers in the attempt to maintain a plurality of independent paths with a view to renewing Christian society. The paths of the two camps crossed significantly when the modern theory of tolerance appeared on the scene. When the condemnation of the Protestant Churches rained down on sub specie prophetiae dissent, the language of prophecy became a language consciously critical of dogmatism and which encou­raged freedom of thought. Keywords: Prophecy, Religious Dissidence, Protestant Reformation, Anabaptism, Toleration. In questo articolo si ricostruisce la storia delle traduzioni in italiano del Book of Common Prayer della Chiesa episcopale degli Stati Uniti d’America. Una prima parziale edizione in italiano venne pubblicata a Firenze nel 1868 da William Chauncey Langdon e da Stanislao Bianciardi, probabilmente per ragioni di propaganda. 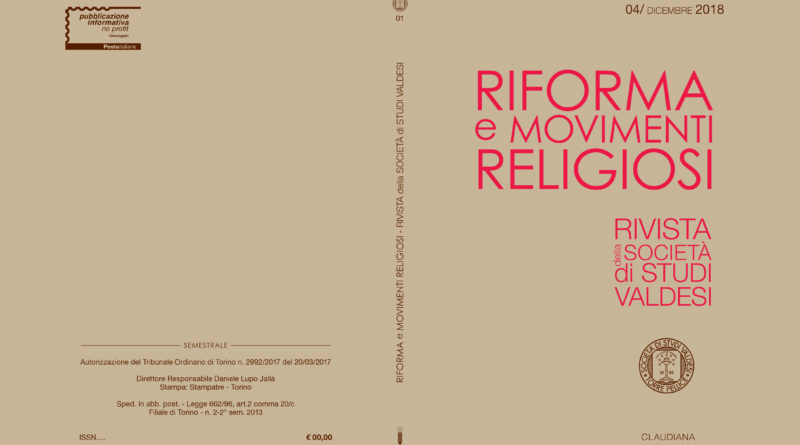 Uníaltra versione parziale fu pubblicata nel 1874 e nel 1876 a cura dellíitaliano Costantino Stauder, ministro della prima congregazione episcopale di lingua italiana di New York. Allo stesso tempo la Convenzione generale della Chiesa episcopale diede vita a una commissione incaricata di promuovere una traduzione integrale. Nel 1879 questa commissione dette il via libera alla pubblicazione di una nuova traduzione parziale di Francis Philip Nash. Mentre sia líedizione fiorentina che quella di New York riprendevano il testo della traduzione del Book of Common Prayer anglicano da tempo pubblicata, questa era una vera e propria nuova traduzione. Nel 1880 Stauder presentÚ una sua versione ñ di cui non rimangono copie ñ che perÚ venne respinta dalla commissione in favore di quella a cui stava lavorando Nash. Questi concluse il suo lavoro nel 1886 ma, per ragioni a noi non note, questa versione non vide mai la luce. La prima edizione italiana integrale fu pubblicata a Filadelfia nel 1904 da Michele Zara, ministro della chiesa episcopale italiana dellíEmanuello di Filadelfia. Il suo successore, Tommaso Edmondo della Cioppa pubblicÚ nel 1922 una selezione del Book of Common Prayer con il testo a fronte in inglese. La nascita di congregazioni di lingua italiana della Chiesa episcopale fu favorita dallíidea di americanizzare gli immigrati italiani. La storia delle traduzioni del Book of Common Prayer Ë dunque anche un capitolo della storia degli intrecci culturali tra Italia e Stati Uniti. Parole chiave: Chiesa episcopale degli Stati Uniti d’America, Book of Common Prayer, Comunione anglicana, Anglicanesimo, Liturgia, Traduzioni. By comparing the various sources produced in Catholic and Protestant circles, the article examines the history of the Hospice for Catechumens in Pinerolo and the Waldensian conversions to Catholicism in the first half of the 19th century. Unlike the continually growing interest of historians in what happened in the 18th century, very little thorough analysis has been devoted to reconstructing the history of this institution in Pinerolo after it was closed down in the French period. 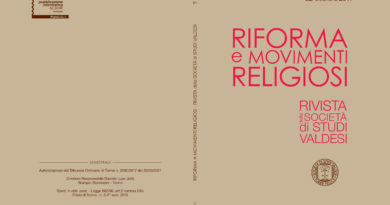 The author attempts to throw new light on it by comparing the affairs of the Hospice – as well as the other methods of conversion used by the bishops of Pinerolo to bring the Waldenses back to the “true faith” – with the individual paths of those who happened to come across the institution and chose, more or less freely, to convert to another religion. What emerge from the study most of all are the contradictions in and failures of Catholic strategies faced with the great variety of motives underlying conversion, and also the ability of the neophytes to exploit the “incentives” offered to them without this necessarily implying an absence of sincere religious motivation. Keywords: Catholicism, conversion, Hospice for Catechumens, Pinerolo, Waldensian valleys, Protestantism. Un differente modo di intendere la Riforma. Valente e Spohnholz leggono Terpstra.